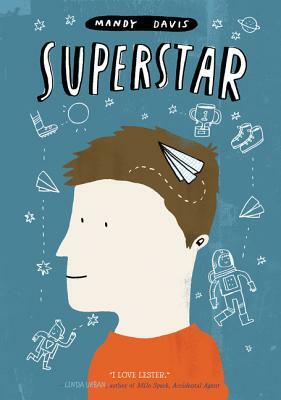 Perfect for fans of Fish in a Tree and Wonder, this uplifting debut novel from Mandy Davis follows space-obsessed Lester Musselbaum as he experiences the challenges of his first days of public school: making friends, facing bullies, finding his "thing," and accidentally learning of his autism-spectrum diagnosis. Lester’s first days as a fifth grader at Quarry Elementary School are not even a little bit like he thought they would be—the cafeteria is too loud for Lester's ears, there are too many kids, and then there's the bully. Lester was always home-schooled, and now he’s shocked to be stuck in a school where everything just seems wrong. That's until he hears about the science fair, which goes really well for Lester! This is it. The moment where I find out for 100 percent sure that I won.